Looking for something pretty and springy to serve for your St. Patrick’s Day, Easter or Passover celebration? My Matcha Panna Cotta from Eating in Color (page 146) is the total package. It has a gorgeous pastel green color with a nice reddish-pink contrast from the raspberry-chia pudding on the bottom. 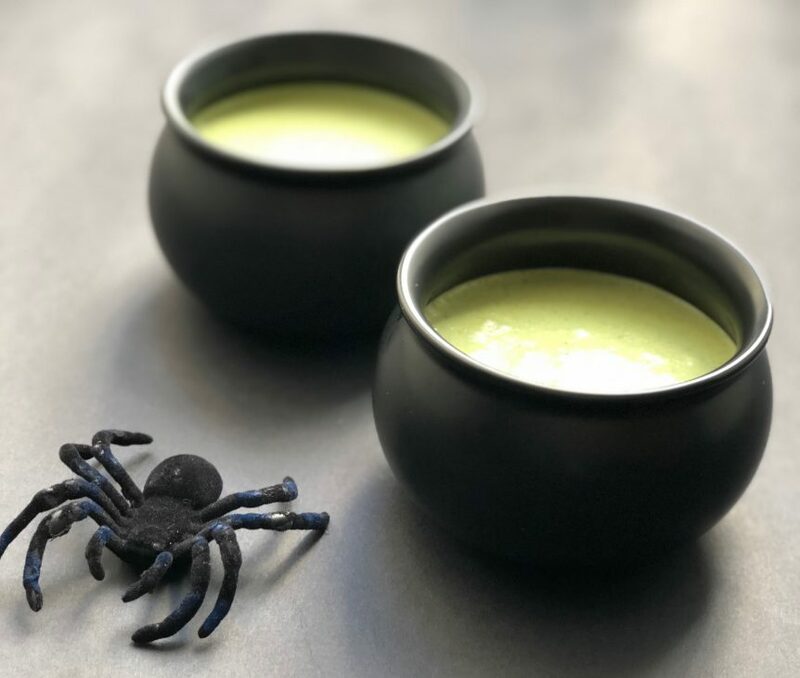 And if you happen to be finding this recipe at Halloween time, the matcha provides an excellent ghoulish glow when you serve it in little black pots. Panna cotta might sound complicated, but it’s basically Italian-style pudding and this recipe is truly easy, as long as you have the equipment. You’ll need a fine mesh sieve or cheesecloth to strain the matcha mixture with. You’ll also need some pretty glasses to pour the panna cotta into. It’s prettiest in clear glasses, but you could also use small mugs or ramekins. 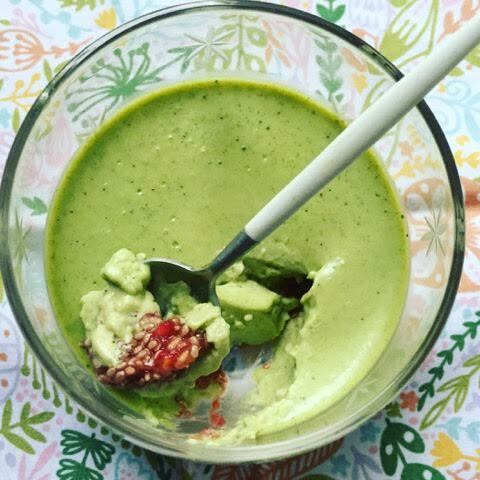 While this is definitely a dessert recipe, I’ve been known to eat it for breakfast to get an extra caffeine kick from the matcha! Enjoy and let me know what you think. 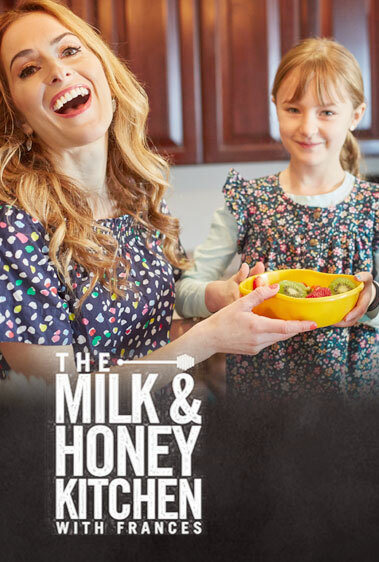 Pour 1/2 cup of the milk into a small bow and sprinkle with the gelatin on top. Set aside for 15 minutes. In a large saucepan, combine the reamining 1/2 cup milk, the whipping cream, matcha and 1/2 cup of the sugar. Scrape the seeds from the vanilla bean into the pan and add the empty pod. Bring the mixture to a simmer over medium heat, whisking until the sugar dissolves. Remove from the heat and let steep for 10 minutes. Strain the matcha misture through a fine-mesh sieve into a medium bowl, then stir in the reserved gelatin mixture. When the matcha mixture has cooled, add the yogurt and stir to combine; set aside. Using a fork, mash the berries with the remaining 1 tablespoon sugar in a small bowl. Mix in the chia seeds. Into the bottom of 6 small juice glasses or dessert wine glasses, spoon about 1 tablespoon of the smashed raspberries. Slowly pour 1/2 cup of the matcha mixture into each glass. Refrigerate for 3-6 hours, until set.